Summer Reading Sure is Fun! 1. Let your child choose what to read. From our friends at First Book: “Kids will always be more excited about reading, if they can choose what to read,” says Stephanie Phelix, Library Media Specialist at Belle Forest Community School in Memphis, TN. If you are having trouble coming up with summer reading ideas, check out these picture books about summer. If you can’t make it out to the library, Scholastic offers an online summer reading program as well. 3. Incorporate reading into other fun summer activities. You know that hour between eating and jumping in the pool? Perfect time to read! 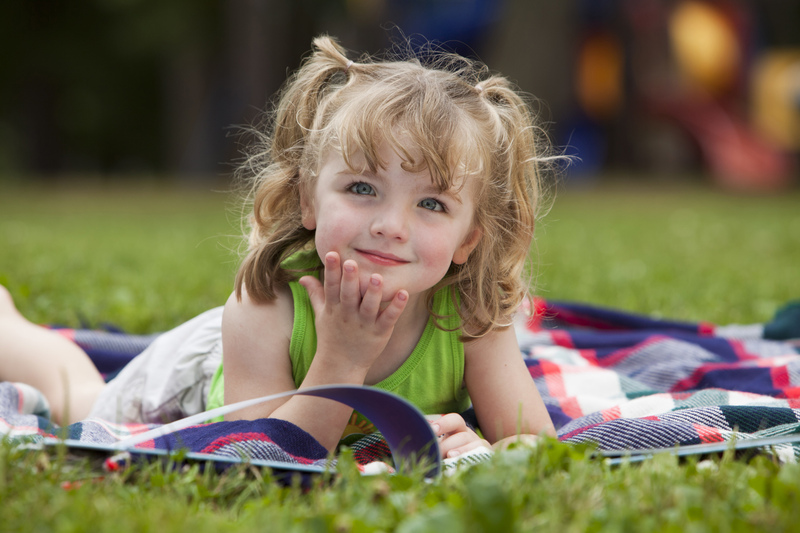 RIF suggests some other ways to have fun reading, such as having a “book-nic” or a combined picnic and story time. KC area libraries are a great resource for free or inexpensive summer reading resources, events, and story times. However, home libraries are also important for developing young readers’ literacy skills. To help us provide books to KC’s youngest children through the summer and all year, consider donating to RORKC.